Discussions Magazine Music Blog: SOJA/Strength To Survive: Available January 31st, 2012! 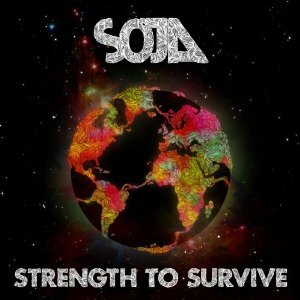 SOJA/Strength To Survive: Available January 31st, 2012! Highly-anticipated 2012 release produced by John Alagia (Dave Matthews Band, John Mayer, O.A.R). Soja is an international touring machine having rocked theaters in more than 15 countries around the world. In the past year and a half alone, they’ve played more than 360 dates, on large headline dates in addition to tours opening for acts like O.A.R,, Dave Matthews Bond and Matisyahu.